Does anyone recognize the historic sound bite? Bragging rights goes to the first person who can tell me what that sound bite is from. He he he … Well, Vancouver, Vancouver, THIS IS IT! After a couple of months of work, we can take now the wraps off of the Eight Great Treasures of Chinese Cuisine. The 8GTCC project is an attempt on my part to learn more of the rich heritage of Chinese cuisines. Although I am of Chinese heritage, I had always taken Chinese food for granted. I thought I know a lot about Chinese food but as I write about Chinese food on chowtimes, I realized how little I know. In January, I first posted of my desire to embark on a journey to learn about each of the Eight Great Traditions of Chinese Cuisine. I knew that I could no do it on my own and so I roped together a few individuals who could help me pull this off and in the process I get to learn from them! What Is The 8GTCC Project? The 8GTCC project is a series of dinners based on the 8GTCC that we are organizing for chowtimes readers. It is an invitation to our readers to join us in discovery and tasting each of the regional cuisines. We will be exploring each of the eight cuisines (Anhui, Cantonese, Fujian, Hunan, Jiangsu, Shandong, Sichuan and Zhejiang) every four to six weeks. We have identified the first cuisine — Hunan! The Hunan cuisine will be a fiery introduction to the 8GTCC … that much I can tell you. It is also a very apt cuisine to start off from the aspect of world history. It is in Hunan about 18,000 years ago that the Chinese invented fired pottery. That is humanity’s earliest known cooking pots and the beginnings of culinary innovations that made the cuisine into what it is today. We will follow-up with more info tomorrow but for now, keep this date in mind … April 10th which is a Saturday. There are six of us on the team. I thought it is best that I introduce them to you. fmed – I think many of you foodies out there knows that famous pseudonym. I am not exaggerating when I say that he is the de facto authority of food in Metro Vancouver. You just need to follow the chowhound forum among many others and you will see for yourself how much he is in touch with the food scene in the city. He prefers to remain anonymous and hide behind that fmed handle. Join us in the dinners and get to know the real person. Dylan – He is a gem of the team and I am so amazed with this young man. I would say he is the kind of guy who you want your daughter to bring home. Unfortunately, he’s married but you know what I mean. He is the only person on the team who reads Chinese and I want you to come and meet him. Your jaws will drop when you meet him in person — really. Not only does Dylan reads Chinese, he is actually a Chinese literature expert. Joe – Joe is another multi-talented guy. I would say he is the second kind of guy who you want your daughter to bring home … a close second to Dylan. Joe had started blogging on vancouverslop.com which I enjoyed reading — very well written. Well, he used to be a magazine editor in a past life and he is the one who mercilessly tears apart fmed’s write-up on the Hunan cuisine. Huh … let me tell you this … if you think you can sue us for food poisoning or something like that, you better think twice because Joe is on the team. I think you will like Joe. Keev – He was the first to respond when I called for helpers for this project. He had experience in Chinese cooking but his is formally trained in classical French cooking. He had traveled to China where visited markets, met fishermen, farmers and tasted street and home cooked meals. LotusRapper – Like fmed, he is shy. He wants to be known as LotusRapper because he is also proud of that pseudonym. Formally, he wants to be known as “LotusRapper (r) since 2003”. Hmm … how else should I describe LotusRapper? I think LotusRapper was the fmed of yesteryears … something like that. He was prolific foodie until he had kids and all the dining outs took a backseat. Mind you, he still has that touch. So don’t mess with him. Ben and Suanne – Ben and Suanne are counted as one. I don’t think we need any introduction but shoot me a question if you have any. I have nothing but praise for the team. They are so committed to the project like you won’t believe. Not only are they putting in personal time and effort to do research, they even go for tastings on their own to check out the food — with their own expenses. The most important thing we believe is … the food. We want to make it an authentic experience with proper representative dishes from the cuisine. We realize that some cuisines will be easy to research and organize — like Cantonese and Sichuan. There are also more obscure cuisines (like Anhui) for which we will need to be creative. We discussed about balancing the need to go for authenticity and the enjoyment of the food by people who are not familiar with the cuisine. The last thing we want is to have anyone go away from the dinners feeling disappointed that they did not like the spiciness of the cuisine for instance. 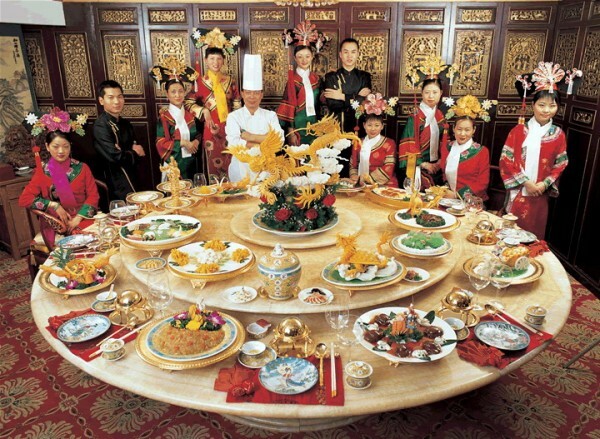 The dinners will be banquet style with lots of dishes … and like true Chinese traditions, communal style too. So you get to try lots of dishes … minimum of eight dishes and most likely more. I think you will like it. Each cuisine will be led a member of the team. For the first cuisine, Hunan, fmed is taking the lead on the research, selection of restaurant and dishes. Suanne and I thought it is best that we stay out of the selection of restaurants and leave it entirely to the team. We are not particular about the restaurant as long as it serves authentic food. So for some cuisines we might be dining in fine dining restaurants with chandeliers and in others a hole in the wall. We will publish the menu and estimated prices so that you know how much the meal is going to cost. I know I am stating the obvious but it’s worth stating. We are in this NOT to make money at all. We just want to enjoy organizing this. I am quite confident that the response will be good. From my initial announcement, I already have received emails from 35 (!) people who are interested in joining. So we think that is a good number to aim for but of course we will try to accommodate as many people as the restaurant is able to handle. This is amazing – however, my comment was about the sound bite of David Johnston’s last words – I have been looking for this clip everywhere and was wondering if you would e-mail it to me? I am using it for a class project and cannot find another copy anywhere. Thank you muchly either way. Thanks! I saw that – you are a lifesaver for my speech class! This sounds like so much fun!!! Would be an awesome experience to try the 8 different types of chinese cuisine. HOw do I join?? I am sorry to say that we had maxed out already. We currently have 54 people confirmed for the dinner with five on a standby. This is the first in the series of dinners and there will be more in the future. I’ll take note of your email address so that I can contact you for future ones. Hello, my friend Anita and I would like to join your team! Is it too late or can we still join? This is a great idea! Hi Monica: I have just sent you an email. I need your response on a couple of questions. Can I come? Huh? Can I? Most certain, Marcia. I’ve just sent you an email on this. I need your info/confirmation. So Ben, are you saying I’m the kind of guy people don’t want their daughters to bring home ? LOL …… doh ! Great idea! Can’t wait to follow along! I know bloggers like to take your own pictures, but you will be busy. Maybe you should bring in an extra photographer so you can thoroughly document these events. You could turn them into a book or TV show — no kidding. That way your efforts would benefit many more than the lucky few who can make it to Vancouver and fit into the restaurants! My sentiments exactly! This would be an excellent “food television” series. An exploration of Chinese food history and it’s varied regional fare told by local aficionados would make a unique and an incredible documentary. To showcase all eight cuisines from Vancouver’s perspective over the course of a year is brilliant. I am interested in this, too. How does it work? Is it a one day feast or will it be done through a series of dine outs? Oops, nevermind. I found the link with the full details.